TANKS! 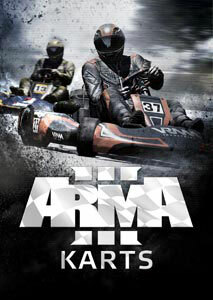 Our armored DLC has finally rolled onto the virtual battlefield. And it delivered literally 'tonnes' of good stuff. So, let's turn the ignition, and take a quick look under the hood. 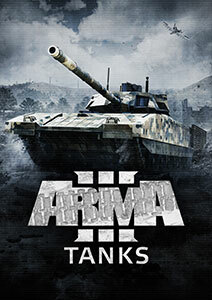 Here are 10 of our favorite things about Arma 3 Tanks DLC! Our Project Lead described it as "a steel monster on steroids", and that's exactly what this is! The T-140 Angara is a brand new Main Battle Tank for CSAT which is designed to knock, rock, 'n roll. Its 125 mm cannon has a longer effective range than most Western Main Battle Tanks, and thanks to its 1500 horsepower diesel engine, it's also a bit faster. Aside from the regular T-140, the Angara also comes in the T-140K "Commander" variant, which is equipped with cutting-edge sensors that let you share target data with friendly forces via the Data Link. This tracked armored vehicle might look cute, but we dare you to say this to its face! The Nyx single-handedly proves that it's not about size, but about mobility and firepower. It comes in four variants - Anti-Tank, Anti-Air, Recon, and Autocannon - and it just needs two crew members to operate, which makes it quick to respond to a threat. Plus, you can take the Nyx with you wherever you go by using the CH-49 Mohawk's slingloading capabilities, or via the V-44X Blackfish VTOL cargo bay (note: this aircraft requires Arma 3 Apex) that fits 2 of these puppies. If you're more of the "I hate tanks" variety, then let us present NATO's Rhino MGS (Mobile Gun System) a.k.a. "Tank Destroyer". This wheeled armored vehicle has a 120 mm cannon, which can fire all sorts of rounds that rip through enemy armor like a knife through butter, but it can also fire the new MARUK missile. This Anti-Tank Guided Missile can do very serious damage to all things armor-plated from miles away. There's also the Rhino UP variant. This one trades some mobility for additional armor, which makes it more suitable for Military Operations in Urban Terrain (MOUT). Just like the other two new vehicles, the Rhino is available in multiple paint jobs/liveries. Our cars and trucks already had interiors, and our helicopters and jets already had cockpits. 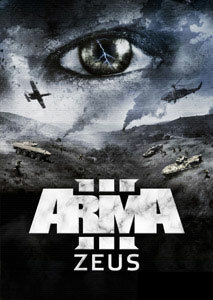 However, Arma 3 did not have interiors for armored vehicles. Until now! ALL armored vehicles have a fully-modeled 3D interior, which is available to everyone who plays Arma 3, whether you own Tanks DLC or not. Overall, the addition of interiors makes for a much more immersive experience. 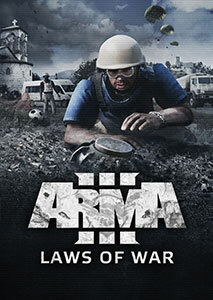 It gives you a better understanding of what it takes to operate a tank and maintain situational awareness at all times. Hats off to our Art department, because a lot of energy and passion went into making this a reality! Introduced for the first time with Jets DLC, several of Arma 3's ground vehicles are now equipped with a Fire-Control System (FCS). This technology lets you measure the range and speed of your target by simply pressing "T" on your keyboard (if you're using the default Arma 3/Arma 3 Apex control preset). 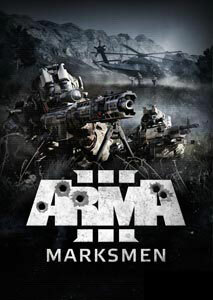 This then also adjusts your weapon's zeroing, and calculate the lead that is necessary to hit your target. Oh, a quick PSA: in case this system is not working for you, please be sure to check your keybindings. Since this functionality is relatively new, it might not yet be mapped in custom control presets. Some people just like to watch armor burn. Well, then we've got some more good news for you: a selection of vehicles and launchers now enable you to select a 'top-down' missile flight profile. This is especially useful when fighting against tanks, because their armor is usually thinnest at the top. These additional missile flight profiles were requested by the community for some time, and there were already some excellent mods that provided a similar solution (hello ACE3!). 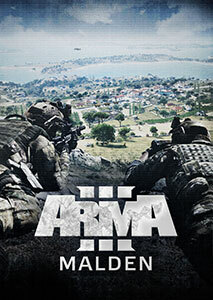 However, we're happy to now finally bring this to vanilla Arma 3 as well. Safety first! With the release of the free platform update (1.82), you're able to go into Virtual Garage and customize your armored vehicles with some neat 'accessories' like camouflage nets, additional armor, and more. These are not just cosmetic additions. Slat armor, for example, in fact also offers better protection. Tanks DLC comes with a brief mini-campaign and a new Showcase scenario. 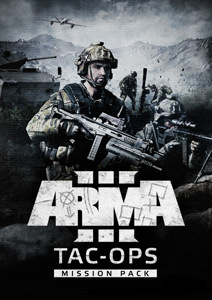 In the "Altis Requiem" mini-campaign, you play as an AAF tank commander of the Nyx and Angara, and you get to experience the opposite perspective of the NATO offensive in Arma 3's "The East Wind" campaign. Showcase "Tank Destroyers" introduces you to the Rhino and lets you pierce enemy armor like a boss while also making use of the vehicle's various other strengths. As a small bonus, we've also included three new Time Trials Challenges. 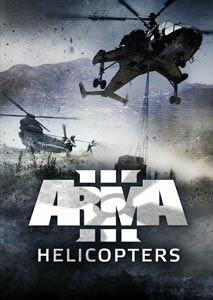 These lets you put the new armored vehicles to the test in races across Altis and Malden. 3, 2, 1... Penalty! There's nothing more satisfying than achieving victory by working together as a team. With that in mind, you'll be happy to know that, alongside Tanks DLC, we've released a free Team-vs-Team multiplayer mode called "Vanguard". In these combined arms scenarios, we're paradropping an important device over a random area on the map, and three teams need to compete by picking up the device and taking it back to their base. We're already hosting official servers - so rally up, and get ready to enter the Vanguard arena! Oh, and if you want to create your own custom Vanguard scenario, then be sure to check out the official documentation. Our Top 10 would not be complete without mentioning the additional free goodies. Namely, everyone gets two additional launchers: CSAT's 9M135 Vorona manually guided missile launcher, and the MAAWS Mk4 unguided recoilless rifle, which comes in variants for NATO and AAF/FIA. On top of that, we've handed over the keys to launcher-carrying variants of the Offroad pickup and the Prowler/Qilin Light Strike Vehicles, and an AT and MG variant of the MB 4WD SUV (note: LSVs and MB 4WB require Arma 3 Apex). Plus, as a last-minute surprise bonus, we managed to sneak in the Zamak MLR (Multiple Rocket Launcher). Last but not least, scenario creators have access to a wide range of new props, such as tank barricades, spare parts, and tools. Exciting? Hell yeah! All of this armored splendor and more is now available to play on Steam. 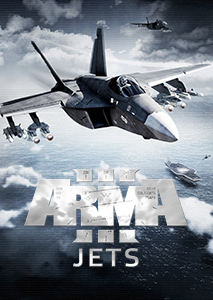 You can purchase Arma 3 Tanks DLC on the Bohemia Store - or you can pick up Arma 3 DLC Bundle 2 to save more than 25% over purchasing Jets, Laws of War, Tac-Ops Mission Pack, and Tanks DLC separately. 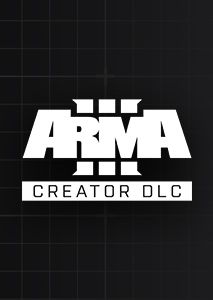 If you want to know more, be sure to zero in on https://arma3.com/dlc/tanks for a complete overview of the DLC package.